We lived in Baku then, in a household that witnessed the tragic fate of ethnic persecution for two generations, just for being born Armenian. A descendant from Artsakh, Shushi, kin of the Meliks, my great-grandfather settled in Baku with his family back in 1890s. It was an ordinary working day in early spring, 1989. I was playing with my toys and my grandfather was sitting on the sofa and telling me fairy tales I always loved to hear him tell me. We were waiting for my mother who was always on time from work. This time she was late. At first we thought the reason was heavy traffic but when she was two hours late, we became nervous. Our anxiety was magnified when our neighbor came in and said that the city was seized with disturbances, roads were closed, and that the agitated crowds were targeting Armenians. My grandfather, usually reserved and calm, showed traces of unrest. My heart sank. Though I did not realize the full meaning of our neighbor’s words, I felt that they meant something awful. I still remember this ugly feeling of fear that lives deep inside. Chaos overwhelmed both our hearts and the streets of the city. Hearing about the cruelty and brutality committed against Armenians a horrible thought came to my mind: “What if I never see my Mommy again?” But I drove the thought away and deep inside hoped for the better. At last I heard the noise of the key turning in the key-hole and I saw my mother. I didn’t recognize her at first. She was suddenly a different person, wild, frightened and at the same time determined. She did not say a word. She hugged me and my grandfather. Later I heard bits and pieces of the terrible truth my mother was telling my grandfather. The truth about the ruthless acts against Armenians, assaults on women and children in the streets, in their homes, the truth about violence and harassment, blood and suffering, infringed dignity and outrageous cruelty. All I could comprehend and feel was terror, despair, frustration and fear. Mass ethnic cleansing of Armenians began in Baku. Several months prior to this life-changing event, my uncle had to flee the massacres of Armenians in Sumgait, a neighboring city. Leaving all possessions behind, but having saved the most precious possession, his life, he came to our door in the middle of the night. Something that he had never forgotten from that escape was what one of the Azerbaijani thugs said to his neighbor, a respected Armenian professor at the university, when they completely burned down his home library with a large collection of Armenian books. “You, Armenians, have no history, write your history anew,” they laughed, setting the library ablaze. Tortured to near death, my uncle’s neighbor, the professor, was able to flee to the railway station, carrying his empty briefcase and a grieving heart from irreparable loss. The 1988 Sumgait massacres had normalized the anti-Armenian culture that before the pogroms such hate-filled attacks had become commonplace in Azerbaijan. The incident that took place that day was a precursor to a larger, government-sactioned, pogroms in Baku in 1990. The day my mother rushed home, barely surviving, was when the family made the final decision to escape death. We felt that no one would protect us at the expense of their lives. We were in our own house, but it was not our castle. The bricks on our house were shaking with every threat of Azerbaijani neighbors with whom we co-existed on friendly terms for over 70 years. They were determined to kills us, level our dwellings to the ground. Every day we heard of Armenians being tortured and dying. As we were making preparations to leave, a bloody cross appeared on the door of our apartment at night. We realized death is close – there would be no mercy to us the next morning. The marking of a cross drawn with blood meant that Armenians living in that particular apartment will be mercilessly killed soon. Were these the same neighbors and friends who just a couple of months earlier comforted our family to at the funeral of my grandmother? Was that a final point when an atrocity collides with the human face of war? History repeats itself. My family was a step away from death like my great-grandparents were during the Genocide of 1915. With tears in our eyes and heartbroken, my mother, my grandfather and I parted with the house and memories of the entire lifetime. It was November of 1989. My grandfather’s mind and body refused to believe it until the last minute it was happening. He was already sick at the time and went into stupor. Standing in the doorway, he was unable to move. He didn’t want to believe the reality and did not want to leave the walls that house his history of 70 years. From there began our long story as refugees to Armenia – our historical, ancestral land. 27 years have passed since that day with many ups and downs, hardships of being a refugee. That gnawing feeling of anxiety and fear of losing my mother accompanied me for years after we fled. Every time my mother was late from work, I started crying thinking she would not be back. Eventually, together we overcame these fears. During the first few years in Armenia we experienced isolation, language barrier, unemployment, hunger and poverty, years of economic blockade with no electricity, gas. Yet we had a strong determination to survive and grow. I owe a lot to my mother – she is a very strong woman. Through these difficult years she is a light and beacon to me, helping to overcome the challenges of settling in Armenia and starting all anew, living in awful conditions, protecting my safety, struggling as the only breadwinner and boldly accepting life’s blows. She practically brought me up alone, paved her way as a professional and person, and stood firm on her feet, serving as a role model to me. A proud citizen of Armenia now, with many personal and professional accomplishments behind me and with many more ahead, I often recall those days that are carved into my heart forever. Despite them, I am blessed with the biggest gift – life, life to create, spread light and humanity with the ultimate purpose of alleviating sufferings of people and children going through hardships, sharing hope and helping people experience happiness. Feb. 28, 1988 - Demonstrations by Armenians demanding Azerbaijan cede control of the mostly Armenian Nagorno-Karabakh region causes rioting in Sumgait, Azerbaijan, that kills 26 Armenians and six Azerbaijanis. Soviet troops help quell the clashes, said to be the most serious outbreak of nationalist unrest in the Soviet Union since the 1920s. May 21 - Communist Party leaders of both republics are dismissed after protests in Yerevan, the Armenian capital, and Baku, the Azerbaijani capital. July 4 - Armenian nationalists close the main airport in Yerevan, and widespread strikes are reported in Armenia and Nagorno-Karabakh. July 18 - The Soviet government rejects a decision by Nagorno-Karabakh to break away from Azerbaijan. Sept. 21 - Further turmoil prompts Moscow to declare a state of emergency in Nagorno-Karabakh. Soviet troops are deployed around government buildings in Armenia, where demonstrations and strikes continue. Nov. 24 - The Soviet military takes control of Baku and Yerevan after several days of clashes that leave at least 28 people dead, including three soldiers, and 126 wounded. Officials say 100,000 refugees have fled the two republics because of the unrest. Dec. 7 - A major earthquake hits Armenia, killing about 25,000 people. Jan. 12, 1989 - The Soviet government puts Nagorno-Karabakh under the direct rule of Moscow. June - Strikes and demonstrations continue. Aug. 29 - Soviet troop reinforcements are sent to Nagorno-Karabakh after renewed fighting between Armenians and Azerbaijanis. Sep. 25 - President Mikhail S. Gorbachev calls on leaders of both republics to negotiate an end to an Azerbaijani rail blockade that has halted supplies for earthquake reconstruction. Nov. 28 - The Supreme Soviet restores Azerbaijan's control over Nagorno-Karabakh. Dec. 1 - The Armenian Parliament condemns Moscow's restoration of Azerbaijani control over Nagorno-Karabakh and votes to unite with the territory. The nationalist Azerbaijani Popular Front reimposes the rail blockade against Armenia. Jan. 1, 1990 - Soviet Azerbaijanis seeking freer travel to visit their ethnic brethren in neighboring Iran attack border posts, causing damage and at least one death, according to Soviet media reports. Jan. 14 - A demonstration in Baku causes rampages by gangs of Azerbaijani nationalists on Armenians living in the city. At least 25 people are reported killed. Clashes break out in other areas. Jan. 15 - The Soviet Union declares a state of emergency in parts of Azerbaijan and orders army, navy and KGB security forces to help contain the fighting. Jan. 16 - The Soviet government sends 11,000 army and internal police troops to Azerbaijan. The government puts the death toll at 56 in three days of fighting. Jan. 17 - Roadblocks in Azerbaijan prevent the Soviet troops from moving freely, hindering their deployment. Reports reaching Moscow indicate Armenians and Azerbaijanis have seized heavy weapons, with some reports calling the violence a virtual civil war. Jan. 19 - Gorbachev blames the unrest on extremists trying to undermine his reform proposals and also says some nationalist Azerbaijanis want to sececde to form a Moslem state. A government statement warns of a national catastrophe if the unrest continues. In the face of widespread public protest, the government suspends the Defense Ministry's callup of reservists to beef up military units. Soviet reports say weapons have been brought in from Iran by the demonstrating Azerbaijani nationalists. Jan. 20 - Soviet troops use tanks to break through barricades and enter Baku, exchanging gunfire with Azerbaijani nationalists. Initial reports indicate scores of additional deaths. YEREVAN, JANUARY 15, ARMENPRESS. The 7th National Assembly of Armenia has condemned the Baku pogroms of 1990, when Armenian residents of the Azerbaijani capital were targeted and murdered 29 years ago in January. “During these days in 1990 the pogroms against the Armenians were happening in Baku. I think that our parliament, all lawmakers will together condemn this violence, and will also together reject all discrimination-based violence in all corners of the world . 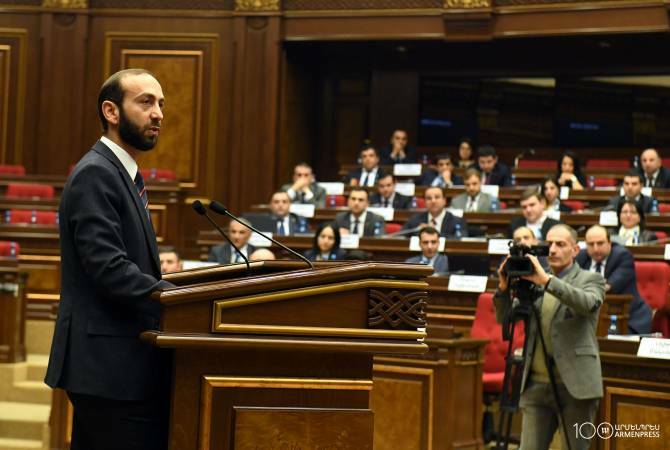 We, as a people that have faced this tragedy several times during our history, cannot tolerate no such violence against any national minority,” Speaker of Parliament Ararat Mirzoyan said during the session of parliament today. YEREVAN, January 17. /ARKA/. These January days, Armenians around the world remember the victims of the Armenian pogroms in Baku, the capital of Azerbaijan, 29 years ago. For a whole week, from January 13 to 19, 1990, the Azerbaijani authorities organized and carried out mass pogroms of the Armenian population of the city. About a quarter of a million local Armenians were subjected to violence and deportation only because of their national identity, as a result there is no Armenian left in Baku now. 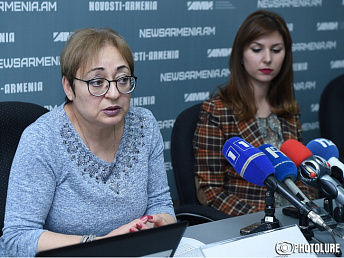 Speaking at a press conference convened today at Novosti Armenia news agency, an expert on the Karabakh issue, Marina Grigoryan recalled that so far not a single organization or government, including Armenia, has assessed these events as genocide. ‘I have hopes that next year, when the Armenian pogroms in Baku turn 30, the Armenian parliament will adopt a condemning statement," Grigoryan said. She also recalled that the pogroms of Armenians in Baku were preceded by pogroms in Sumgait in the spring of 1988, when it became clear that there would be no responsibility for what was done there. Officially, 27 Armenian were killed and hundreds were injured in Sumgait and 18 thousand Armenians of Sumgait had to flee the city. However, according to numerous facts and testimonies, the death toll in Sumgait is much higher -from 100 to 200 people. Marina Grigoryan also spoke about the latest meeting of Armenian and Azerbaijani foreign ministers in Paris, saying the topic of pogroms of Armenians in Baku is related to it directly. "The co-chairs of the OSCE Minsk Group called on Armenian and Azerbaijani authorities to prepare their peoples for peace. I am sure of one thing: Azerbaijan must accept the historical reality, the numerous crimes committed against its Armenian population," said Grigoryan. She noted that without the recognition there can be no talk of any reconciliation between the two nations. Another expert Greta Avetisyan, recalled Ramil Safarov, an Azerbaijani officer who killed an Armenian officer Gurgen Margaryan in Budapest where both were having NATO-sponsored language course and who was glorified in his homeland. Safarov was sentenced to life imprisonment by a Hungarian court in 2004 but later was pardoned as a result of a deal between Baku and Budapest. She also recalled the beheading of three Armenian servicemen, the torture of helpless old men in Talish by Azerbaijani troops in April 2016 during the so-called ‘four-day war, after which the troops were glorified as heroes in Azerbaijan. 29 years have passed since the January tragedy in Baku and civilized world has done nothing yet..
Not expecting anything from them for the next 29 years, only we can do it for ourselves. The days when Azerbaijani authorities are traditionally engaged in inciting hatred toward the Armenians as a part of their propaganda stunt called “the anniversary of the January 20 tragedy”, a protest rally is held at Mehsul Stadium organized by the National Council of Democratic Forces. Activists of the Popular Front Party, Musavat and REAL take part in a protest rally demanding the release of blogger Mehman Huseynov and all other political prisoners. The police are taking heightened security measures and three cordons are checking for those who come to the rally, contact.azreported. As usual, the authorities are blocking access to the Internet at the venue of the rally in order to prevent live transmission to social networks. Azerbaijani authorities force their population to mark the anniversary of the “January 20 tragedy” on January 19-20. On the night of January 20, 1990, units of the Soviet Army entered Baku in order to stop the mass pogroms of the local Armenian population, which had already spread to the Russian residents of the city. The organizers and participants of the Armenian pogroms in Azerbaijan have been declared “fighters for the territorial integrity and independence of the motherland.” Those of them who died as a result of troops were buried in the “Alley of the shekhids”, where crowds of officials and employees of state institutions, students and schoolchildren are driven every year. The authorities are completely silent about the fact that the troops were deployed to stop the Armenian pogroms. YEREVAN, FEBRUARY 6, ARMENPRESS. Idaho-based Armenian Liyah Babayan is one of the thousands who witnessed the aggressive xenophobia towards Armenians living in Baku in 1988-90. These scenes had a strong impact on her and shaped her personality - later empowering her to bring justice for her family and the future generations. 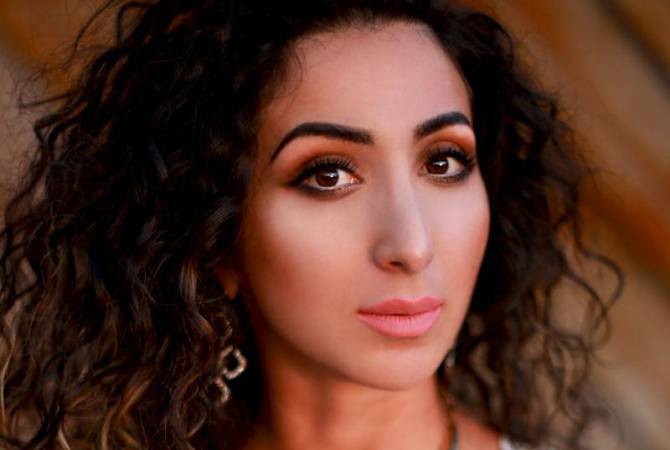 You can purchase Liyah Babayan's ‘Liminal: A Refugee Memoir’ book on Amazon.